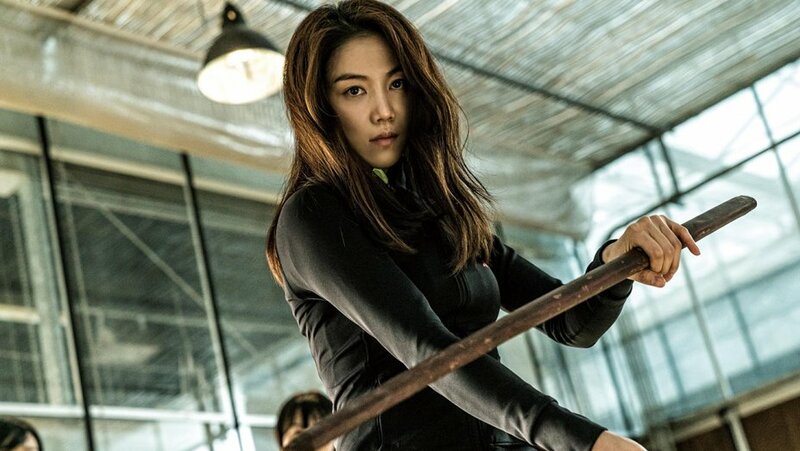 The Villainess is a South Korean version of a world-known action thriller Nikita, the film is directed by Jung Byung-gil and starring Kim Ok-bin. This is a story of a female assassin named Sook-hee, who from an early age has been taught to kill. She becomes a sleeper agent for South Korea’s intelligence agency, who promises her freedom after 10 years of service; however, two men from her past make an unexpected appearance in her life, bringing out dark secrets from her past. The Villainess was sold prior to the local release to 115 countries and later sold to additional territories such as Japan, China, Singapore, India increasing to a total of 136 countries worldwide. Kim Ok-Vin has prior experience in Hapkido and Taekwondo and it works for her as fighting sequences look very impressive, especially at the beginning of the movie when you feel like playing Doom. The Villainess had its world premiere in the “Midnight Screenings” section at the 70th Cannes Film Festival. The film received different awards at festivals such as 16th New York Asian Film Festival, 21st Fantasia International Film Festival, 26th Buil Film Awards, 1st The Seoul Awards and 54th Grand Bell Awards.